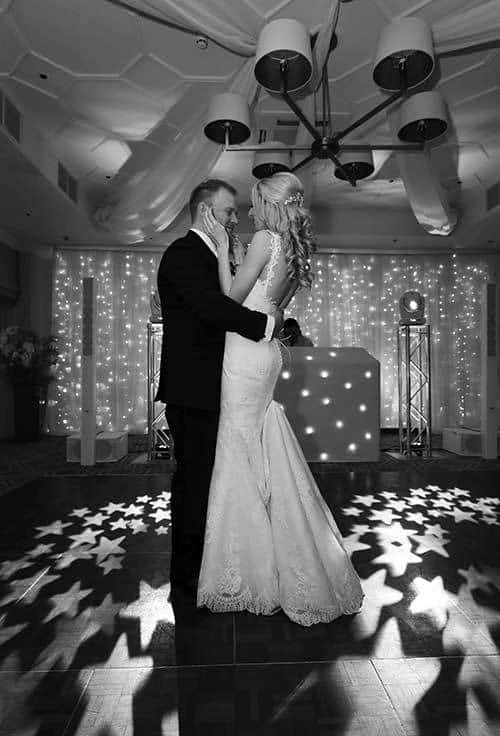 Wedding first dance ideas – how we help make the first dance a wonderful, not worrying, experience. Beautiful, intimate and special. This is what the first dance should be. It’s that point in the midst of a whirlwind day of elation, adrenalin, family and friends, for you and your partner to take a moment to look into each other’s eyes, and say ‘we did it. We’re married’. The dancing, the song and the audience are secondary to this powerful and magical few minutes for you and your partner. Which is exactly why you want it to be perfect. And why we’ll help make sure it is. The short window of time between the wedding breakfast and the dancing can be hectic. You may be having last photographs taken. Need some time to freshen up make up or adjust makeup and hair. You’ll also be greeting evening guests as they arrive. So the first dance might be your first chance for a moment of calm with your new husband. The first dance is also a fantastic way to launch the party. With the guests surrounding the dance floor, they’ll be itching to get dancing as well, which enables the DJ to start the party off with a bang. If any of your guests are self-conscious reluctant dancers, they’ll feel more comfortable partaking in a boogie if it’s naturally led by the bride and groom. Having been a spectator to this more times than I can count, I feel I’m in a strong position to offer some tips, experience and observations on the wonderful experience that is (or should be) the first dance. To slow dance, to rock it, to put on a show – that is the question. Wedding first dance ideas – how do you choose the perfect first dance? Well really this comes down to you as a couple. There are pros and cons of different approaches. The first dance traditionally is a romantic, slow song, an opportunity to launch the celebration with this last formality. If you have evening guests, they won’t have seen the ceremony and this will be their chance to see the two of you in a more formal, romantic moment. But if you think you’ll be unable to enjoy a romantic slow dance with all your family and friends’ eyes on you, you may want to pick something equally special to you, but more upbeat. We have some fantastic suggestions for first dances; from the popular to the less obvious, and part of getting to know you prior to the event is being able to guide and advise you if you need this. If you’re worried about your dancing ability, or your choice of song, your guests won’t judge. They won’t be expecting closet Fred and Ginger, they’ll just be supporting and enjoying your special moment as you share a few minutes together moving with the music and having a little chat. Of course, you might be planning a Strictly style performance to wow your guests. This will also be a real hit and get the party going. Either way, the first dance should be an immensely personal and special moment for you and your partner. A moment of calm, reflection and intimacy. So you’ll want to choose a song which means something to you and has lyrics which speak of your relationship and feelings. Choose a song that is meaningful to you both. 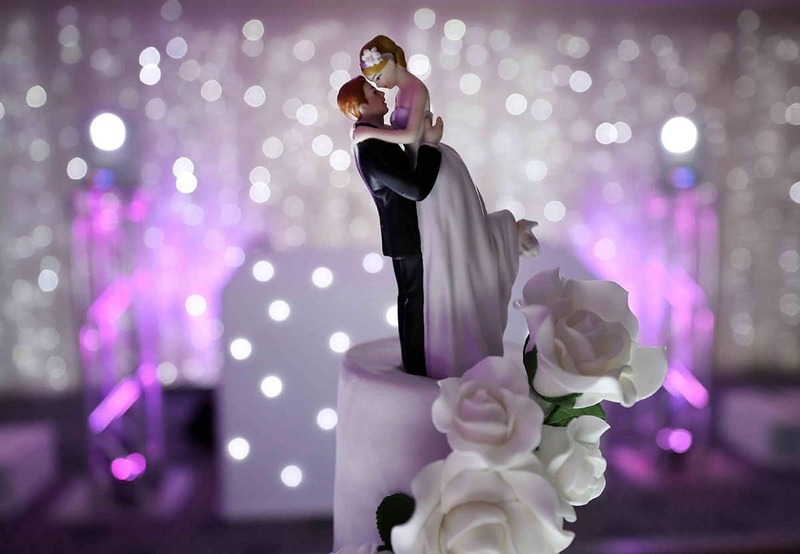 Think about timings of other elements; for example if you are not having a Toastmaster, perhaps cut the cake just before your first dance on the centre of the dance floor, that way your DJ can MC for you. If you do have a first dance, it truly will be a wonderful memory and ‘your song’ will forever hold that memory for you. For many couples, there is already that one song that stands out; which almost chooses you. For others, choosing a first dance can be a process that involves endless YouTube searches and discussions. Either way, the first dance is your special moment. And we’re here to help make it an awesome one. For further advice on first songs or any other aspect of wedding entertainment, we’re here to help.